Are you looking for an easy way to reduce weeds, protect your plants over the winter, and boost soil fertility? October is here, and with it comes the threat of frost for many gardeners around the world. 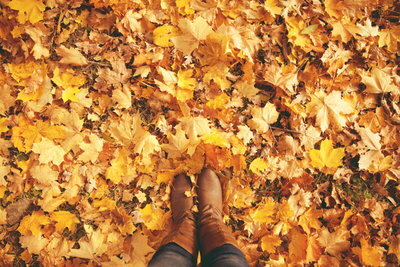 Fall also coincides with the last harvest of straw, hay, and the natural shedding of deciduous leaves. It is almost like nature is telling us to apply these organic materials to our gardens for winter protection. Here are six reasons why your garden deserves a little extra blanket this fall. There is an immediate incentive for fall mulching: extra time. Adding a layer of mulch buys late root vegetable crops a few more weeks in the fall. Carrots, beets, turnips, parsnips, radishes, and other tuberous vegetables can survive a few frosts with a little extra help. A few inches of mulch allows gardeners to postpone those last harvests and not worry about the first frost, while also getting the bed ready for winter. Mulching your garden prevents water loss in the summer and winter months. While it is tempting to think that evaporation only occurs in heat, this is not the case in gardens containing evergreens. These plants continue aspiration into the winter. Mulching in the fall also preserves moisture in the soil during the last few warm weeks of autumn, giving gardeners a leg up in the spring. As an added bonus, mulch prevents garden beds from turning into mud baths, making it easier to navigate the garden after the thaw. Mulching in the fall prevents those last little weed seeds from putting down roots. In the spring, mulch prevents weeds from sprouting in your beds before you have a chance to work them. Plant your spring transplants into your winter mulch. The mulch eventually breaks down, leaving you free to add more mulch or direct seed. Initially, mulch keeps the soil warmer than the rest of the ground. This is no longer the case once the deep freeze sets in. Mulch along cannot keep your garden soil workable all winter. Instead, it provides a layer of insulation that prevents temperature extremes. The soil beneath your mulch stays frozen, safe from the freezes and thaws that happen earlier and earlier each year, it seems. These temperature extremes cause frost heaves and put stress on plant roots and bulbs. Temperature extremes and freezing and thawing cause the phenomenon known as frost heaves. These are most evident on our roads in the spring when the smooth pavement put down the previous fall suddenly becomes a treacherous maze of potholes and bumps. They also occur in our gardens. Frost heaves expose roots and bulbs to temperature extremes. 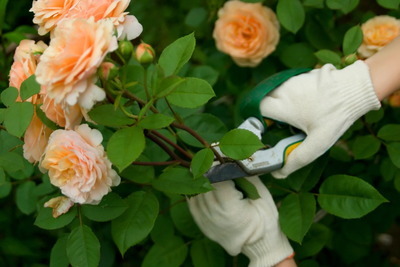 Mulching perennials like roses, rhododendrons, azaleas, and other shrubs minimizes the potential damage to roots. Mulching perennial beds helps even winter hardy plants get through the winter, not to mention the bulbs you planted for the spring. Mulching is especially important these days, as the climate warms and thaws come earlier each year, often followed by a freeze. Using organic mulches like straw, cover crops, and leaves provides nutrients for your garden soil. The material releases these nutrients as it breaks down, providing food for your future plantings. Earthworms love mulch. A great way to encourage worms to aerate your garden for free is to put down a layer of mulch like straw, leaves, hay, and even cardboard. Organic matter is a vital part of maintaining healthy garden soils. Mulching is a great way to build your soil while also protecting your plants from moisture loss and extreme winter temperatures. The best mulch for your garden meets the following criteria: It is affordable, easy to acquire, and biodegradable. There are several excellent materials that fit this bill. Straw is perhaps the most efficient mulch out there. The hollow structure of the straw offers increased insulation from temperature extremes. Straw is so effective at insulating that some individuals construct entire houses out of straw bales. The cellulose breaks down to provide nutrients and feed the microbes in the soil that your plants rely on. Most straw is free of seeds, as the straw itself does not contain any seed heads. This does not mean that weed seeds are not hiding in the bale. 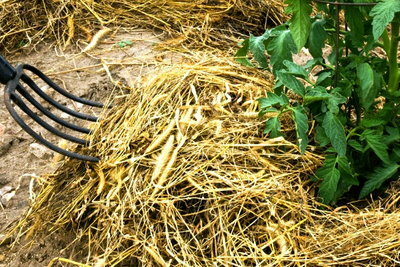 Organic gardeners should always inquire about any pesticides or herbicides used on the straw. Straw is sold by the bale from farmers and from home and garden centers, especially in the fall. Purchasing directly from a farmer is the more economical option, especially if you plan on purchasing more than two bales. Hay provides a similar mulching value to straw, with a few notable exceptions. 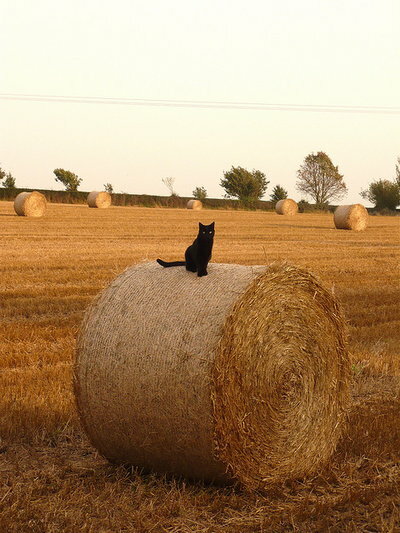 Hay contains seeds from grasses, legumes, and other plants in the hay mix. This means that grasses often sprout from mats of decomposing hay. 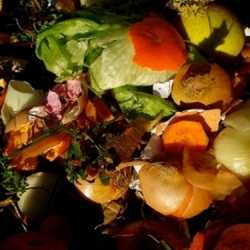 To eliminate this risk, remove the sprouting hay and put it in your compost pile in the spring. 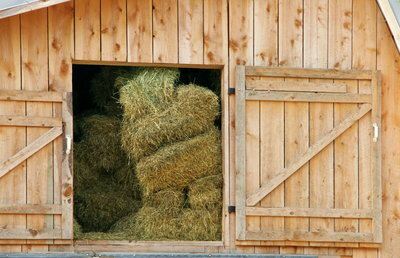 Hay works well for winter mulching because the grass stems offer similar insulation to straw. Hay is often heavily fertilized and sprayed. 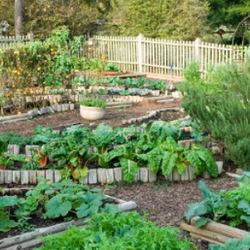 As with straw, organic gardeners should ask about the farming practices used in its production. Purchase hay from a local farmer, and ask if he has any bales left over from previous years he would be willing to sell at a reduced cost. Older hay has less nutritive value to livestock, but makes an excellent mulch. Leaves are free and plentiful in the fall. If you don't have enough trees in your yard, assist the county and pick up the bags of leaves your neighbors leave on the curb for bulk pick up. Leaves are full of valuable nutrients and roughage. They work best as a mulch when they are shredded. This allows for better water penetration. If you don't have access to a leaf shredder, run over a pile with a lawn mower to break the leaves down. Cover Crops offer gardeners a living mulch. These crops keep the beds intact and recycle nutrients back into the soil. Winter kill cover crops die off over the winter, forming a mulch that breaks down and leaves the soil protected and workable in the spring. Cover crops work best in annual vegetable beds. Cardboard, like leaves, is free. 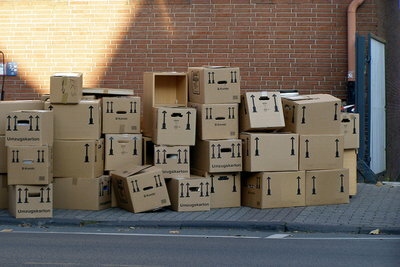 Many stores will be delighted to have you take their cardboard off their hands. Cardboard insulates the ground and earthworms are very enthusiastic about breaking cardboard down for you. In the spring, just plant directly into the cardboard and use it as a weed barrier. Pick the mulch that works for you, and get your garden ready for the winter. Anna Burke has been farming and gardening for over 6 years. She graduated from Smith College with a degree in English Literature. A few months after graduation she started a small sheep farm in Upstate New York with her partner. Anna enjoys growing vegetables and raising livestock.